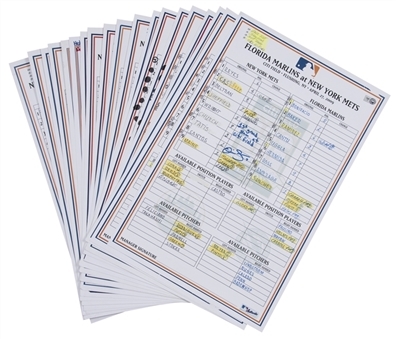 Offered here is a collection of 21 New York Mets lineup cards used from August 19th, 2006, through August 18th, 2013. 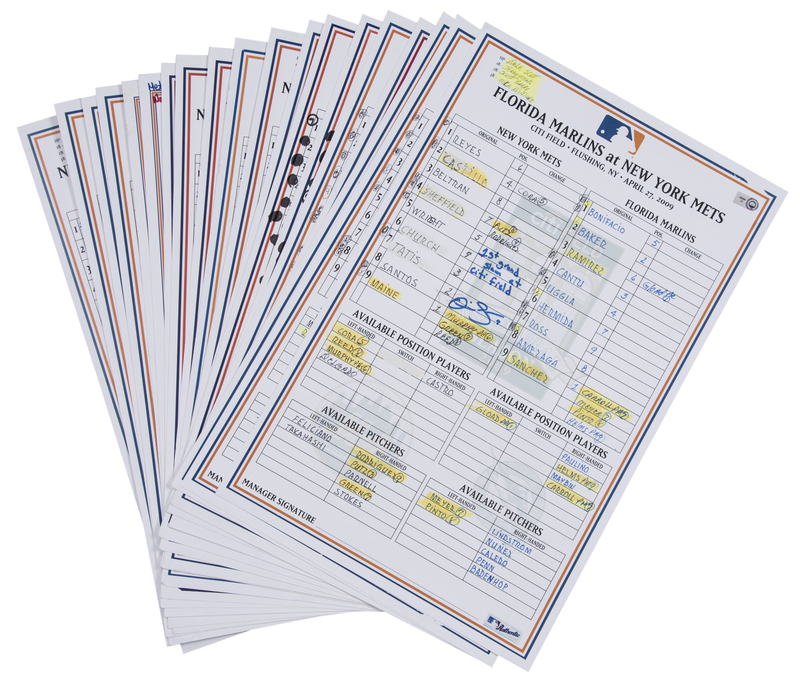 Several lineup cards have been signed by Mets players, including Carlos Beltran (April 19th, 2007), Gary Sheffield (April 17th, 2009) where he recorded his 500th career home run, Omir Santos (April 27th, 2009) where he hit the first grand slam in Citi Field history, and Josh Thole (July 20th for his first career home run and October 1st, 2010 for his first career walk-off home run). 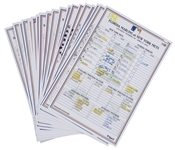 The lineup cards are accompanied by MLB Authenticated holograms, while the lineup cards from August 19th and 20th, 2006 were part of the Mets 1986 reunion weekend and come with a Mets-Steiner LOA and the lineup card from September 5th, 2010 comes with a LOA from Steiner Sports.